Despite all the squee propaganda on the Internet (fun fact: the Internet is run by a cabal of savage predators with the secret purpose of convincing the huge contingent of potential prey items, i.e. 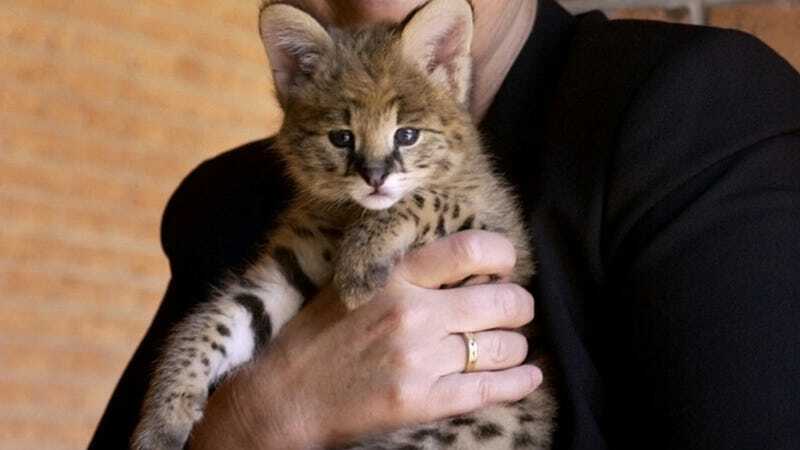 humans, to believe that baby predators are cute and harmless), wildcats are dangerous. Like, really, really dangerous. In case you needed even more proof that this is a true statement, there's this: a worker at a wildcat sanctuary in Oregon was found dead at the facility on Saturday, after having apparently been mauled by one of the sanctuary's residents. Local media reported that a woman was reported as being gravely injured on the job at WildCat Haven sanctuary in Sherwood, Ore. However, before deputies from the Clackamas County Sheriff Office could arrive on the scene, the woman had died. The woman was in the sanctuary, which shelters cougars, bobcats, tiger and lynx among other wildcats, when one of the animals bit her, local television reported, citing Tualatin Valley Fire and Rescue responders. Deputies from the Clackamas County Sheriff Office were called to the WildCat Haven sanctuary in Sherwood, Oregon, about 20 miles southwest of Portland, on Saturday night after an employee was reported to have been gravely injured on the job, their office said. She was dead when they arrived. No one at Tualatin Valley Fire and Rescue was immediately available to confirm the reported cause of death. I imagine being around a bunch of large wildcats is a lot like living around domestic cats that can actually act on their barely concealed contempt for their human co-habitants.